Cafes, restaurants, takeaways and caterers across Merton are being recognised for their commitment to serving up healthier food for customers. A total of 28 food businesses across the borough have signed up to the Healthier Catering Commitment for London so far. The initiative, championed by a partnership between Merton Council’s public health and environmental health teams, recognises efforts by caterers to reduce the saturated fat and salt content of the food they sell, offer healthier options and serve smaller portions. After passing an assessment, carried out by environmental health officers, businesses can display a sticker in their window and a certificate inside their premises to showcase their commitment to customers. 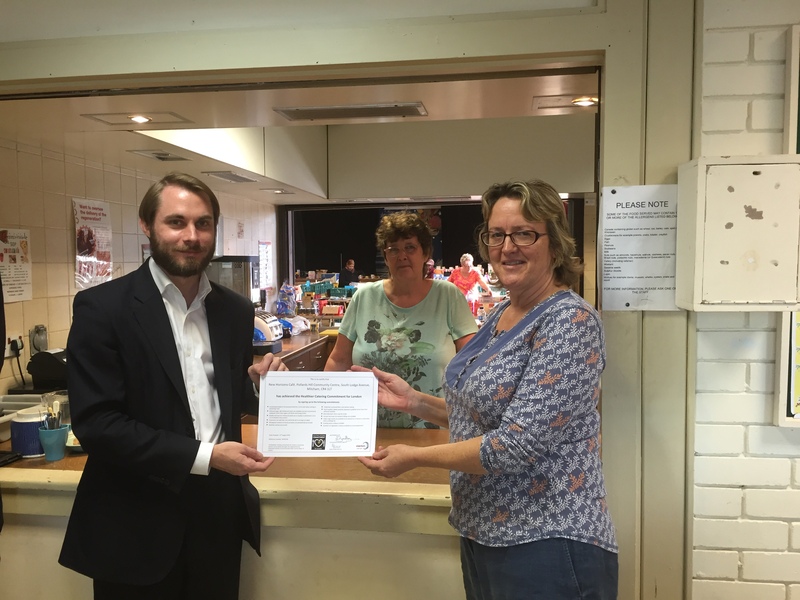 The latest signatory is the Commonside Café at the New Horizon Centre in Pollards Hill, which has put dishes containing more vegetables on the menu and ensures that food is grilled rather than fried. Salt pots have been taken off tables and some sugary drinks have been replaced by water and sugar-free alternatives in the vending machine. Merton Council’s Cabinet Member for Adult Social Care and Health, Councillor Tobin Byers said: “Healthier menus make it easier for people to make healthier choices while they are enjoying a meal out. By making simple changes to the way recipes are prepared and offering smaller portions, caterers can help to reduce obesity levels as well as the risk of their customers developing diabetes and heart disease.